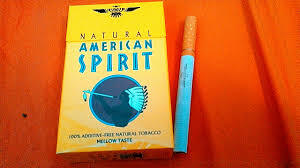 SANTA FE, N.M. (AP) – The company behind American Spirit cigarettes is being targeted in a class-action lawsuit. A Florida law firm filed the suit this week against Santa Fe Natural Tobacco Co. and its parent company, Reynolds American Inc. The plaintiffs say the cigarette maker’s marketing deliberately tries to mislead smokers into believing their products are healthier than other tobacco products. According to documents, the lawsuit cites a Food and Drug Administration warning that the use of words such as “natural” or “additive free” in their advertising violates federal law. Santa Fe Natural Tobacoo Co. spokesman Seth Moskowitz said Friday that he could not comment on the lawsuit because of company policy. However, the company has asked to meet with the FDA about its marketing.